Auto-enrolment and what you must do :- Auto enrolment is a legal requirement of businesses to provide a Qualifying Workplace Pension Scheme (QWPS/WPS) to eligible employees. Businesses must make a contribution towards employees’ pensions and make sure that both employee and employer pension calculations are correct. Your staging date is the day when in law you must start complying with your new duties. Your staging date has been set by government based on information from HMRC about the number of employees in your business as of 1 April 2012. Even if this information has since changed, your staging date will remain the same. You should receive a letter from the Pensions Regulator 12 months before your staging date, and receive a reminder three months before you staging date. The dates shown below indicate when your WPS must be in place. NB: A staging date in the payroll software for each company must be shown as part of your auto-enrolment solution. See below. Note that not all employees will be eligible to join a WPS: eligibility depends on age, earnings, and whether they already pay into an existing pension scheme. Existing membersEmployees already in the scheme on a qualifying basis (paying at least minimum contributions)No joining action required. Eligible jobholdersEarning at least £834 a month (£192 a week) and aged between 22 and state pension ageEmployers must automatically enrol these employees into a qualifying Workplace Pension Scheme. Non-eligible jobholders Earning between £481 and £834 a month (£111 and £193 a week) and aged between 16 and state pension ageThese employees are not eligible for Auto Enrolment. However, they can choose to join a qualifying Workplace Pension Scheme and benefit from employer contributions. Entitled worker Earning less than £481 a month (£111 a week) and aged between 16 and state pension ageThese employees are also entitled to join qualifying Workplace Pension Scheme but employers do not have to contribute to it. Eligible employees must be enrolled in a QWPS and employers must contribute to the workplace pensions of eligible employees. It also means that employees will probably be required to make contributions to their own pension scheme. The Regulator has decided on a minimum pension contribution of at 3% in total: that is 2% by the employer and 1% by the employee. Minimum pension-scheme contribution levels have been set by the Pensions Regulator and will increase over time. You may choose to set your contributions higher than the Government minimums. From October 2018 onwards the overall minimum to be paid into an employee’s pension will be raised to at least 9% of basic pay. This will be made up of 4% employer contribution and 5% employee contribution. An employer can choose to postpone their duty to enrol workers into an auto-enrolment scheme by up to three months. The date on which the postponement period ends is up to the employer; this is known as the “waiting period” or “deferral date”. The employer’s staging date (in relation to a worker already employed by the employer on the staging date). The first day of a worker’s employment (in relation to a worker starting employment after the employer’s staging date). The first day on which a worker already in employment becomes eligible for auto-enrolment (for example, because the worker reaches age 22 or earns more than the earnings trigger). Remember, there is difference between the three options. Remember also that you must circulate relevant material to staff about their right to opt-in, opt out, or join. See below. Choose a qualifying pension scheme if you don’t have already one in place. Provide names and details of staff eligible for auto-enrolment to your pension provider and/or payroll administrator. What if Employers do not comply with auto-enrolment? The law requires all employers to provide a workplace pension for certain staff. Failure to comply with the new Workplace Pension laws carries a heavy penalty of up to £2,500 per day. 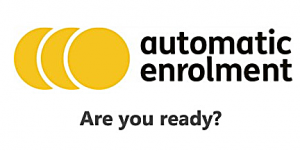 It is better for all employers to comply with auto-enrolment. inter-operates with some or all qualifying pension-scheme provider systems. If you are selecting new software you should ensure that it is compatible with your existing systems.